It was freshman year, the day of my gymnastics meet. I quickly stretched my legs and bounced from foot to foot, jittery, my body buzzing with adrenaline. The gymnastics meet? Oh, that wasn’t until after school. At that moment, it was fitness testing during my P.E. block. I was preparing to run the dreaded mile. Later at the meet, I was completely drained. I left all of my energy on the indoor track. 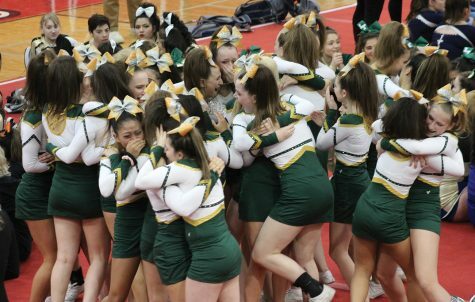 I am a student-athlete on Glenbrook North’s JV gymnastics team and varsity track team. Each day after school and on many Saturdays, I exhaust my muscles and strive to improve at the sports I genuinely enjoy. So why am I required to run, lift weights and play various games every B day? Why am I forced to do as many push-ups as I can for fitness testing when I already do a significant amount of arm conditioning during practice? The current Illinois law states that any athlete in grades seven through 12 on any level of a school team or athletic program may be exempt from physical education. But the policy of Glenbrook High School District #225 provides exemption only for upperclassmen on a varsity sport. A study hall usually replaces an athlete’s P.E. block when they opt out. Since the courses upperclassmen take are more advanced, this study hall is extremely beneficial to help them manage their workload. Yet, even as a sophomore, every night after practice I fight to keep my eyes open, scribbling equations and typing essays often until late at night to finish my homework. I would greatly benefit from that extra time too. But upperclassmen on JV teams cannot waive out, even when faced with the same workload as varsity athletes. With experience on both varsity and JV teams, I can say I push myself just as hard at both levels. If athletes strive to improve at their sport, waiving out should not be prohibited. 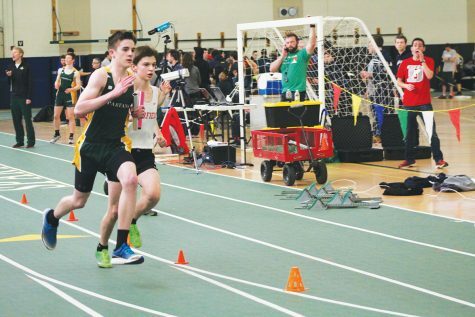 Here’s what I propose: freshmen should remain in physical education to be introduced to GBN’s P.E. program and to experience new sports and ways to exercise, but partial waivers should be extended to sophomores and JV level athletes. A partial waiver allows an athlete to waive out for the length of their season. Currently, to waive out of physical education, athletes must have the approval of both their coach and counselor, which I believe should be given only if an athlete works hard during practices and takes classes with heavier workloads. Give this some thought. Until then, I will run, lift weights and play various games, but I will resent our green cotton shirts and baggy shorts.